Since 2006 we have been providing expert commercial insurance advice to our clients looking for hairdresser insurance, hair removal insurance or any type of hair and beauty insurance. Although we are based in Tamworth, Staffordshire our clients are all over the West Midlands. We pride ourselves on providing bespoke insurance that is tailor-made for our clients in the hair and beauty sector. We know that every company in the beauty business is unique and has different needs. For example a nail bar and a laser hair removal studio may have fairly similar insurance needs but when you drill down they probably have some very different requirements that are specific to what they do. This is why we believe the ‘one policy fits all’ approach is so wrong and why we try to construct an individual policy for your specific insurance requirements. The good news is you don’t pay for insurance you don’t need and you can be sure you are properly insured for what you do. We are experts in helping clients in the hair and beauty treatment sector. It is really important to make your insurers aware of ALL of the treatments you do because a ‘bog –standard’ policy simply won’t cover you! If you are in any doubt please speak to us. And we are able to cover literally hundreds more types of beauty and alternative therapy treatments! 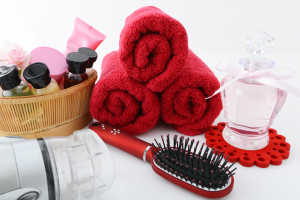 An insurance policy for the hair and beauty sector usually has certain basic sections of cover which can be enhanced by adding on additional cover. For example; most businesses of any type will need to cover their assets against loss or damage. Our clients looking for hair insurance or beauty insurance will be no different. They will need to cover their earnings if they can’t trade – and most importantly, they’ll need to cover their liabilities in case someone makes a claim against them because someone gets hurt or something in their property gets damaged. But their might be specific insurance cover they want to add to the basic policy. Property Insurance – if you have got the right policy in place this will cover the buildings (if they are yours) and/or the shop front and/or tenants improvements (this refers to what tenants have spent inside on the fabric of the building to make the premises beautiful). Property Insurance will also cover the fixtures and fittings and stock. In most instances the policy will also insure you against risks such as fire, storm, flood, theft, vandalism, impact and some lesser common risks such as earthquake, aircraft or lightning. If you can’t trade because something happens and this damages your property, you can also cover your hair or beauty business against the profits you lost because you had to stop trading. Imagine you are a hair dresser or a beauty therapist and the electricity supply gets cut off because someone accidentally dug the main cable up or if the building next door burned down or a crime is committed in your doorway overnight and the Police cordon it off. In plain English money insurance refers to the theft of cash. With the caveat that this needs to be within reason. Because if you leave £10,000 in cash in your handbag in your car don’t expect any help from the insurance provider if it got stolen. A money insurance policy can also cover assault, so will give you a small benefit if someone got hurt during a robbery. We’ve all seen the result of a boisterous Saturday night with windows broken. Glass insurance will cover the cost of boarding up your windows and then replacing broken windows. The great thing is that it can also cover signage and sanitary fittings against damage – especially useful if you are a hairdressing salon with lots of sinks. Because the insurance we put in place is not off-the-shelf we can also add other insurances to the basic insurance cover by including cover for Goods in Transit, Terrorism, Theft by Employees (also known as fraud), Frozen Food deterioration, Legal Expenses , Cyber Liability Insurance and Loss of your Liquor Licence! Most policies have a round the clock claims reporting line as often accidents happen out of office hours! Remember you don’t have to have business insurance. It is NOT compulsory but when accidents and other bad things happen, who would you rather pay for it? You or an insurance company? Unfortunately, we live in a world where it has become more likely that you could get sued and there are more and more regulations to comply with, so in our view it is increasing prudent for all types of company to get the right advice and purchase the right insurance. We do work differently, and what makes us different from most brokers offering insurance for the hair and beauty sector is that in pretty much most cases we don’t take a commission from the insurance companies for placing the business with them. At Prizm Solutions we prefer to work on a fee basis so that our earnings are transparent which we feel is more ethical. If you have any type of hair or beauty or therapy business then please call us for all your insurance needs and enquiries. You can always be assured of our expert advice and knowledge of your business sector. Please contact us to request a quotation or arrange a call back.